Boo! Four Ways to Get Toddlers and Preschoolers Ready for Halloween! Here are several ways to keep the children at bay as they wait so impatiently for Halloween. Engage them in a variety of fun ghost crafts to bring the holiday closer. Children have always loved ghosts - you know those creatures that look like white sheets flying in the air? Or how about the friendly face of Casper? A ghost is a symbolic part of Halloween and many children choose this character for their costume during the Halloween celebrations. Since ghosts are free-form creatures, they can be easily made with a variety of art mediums. 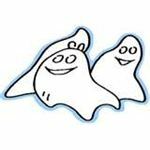 Here are a few ghost crafts for Halloween that are perfect for your toddler and preschool classroom. Gather Styrofoam packing pieces. You will need some round ones and those peanut-shaped ones. Place the pieces on black paper in this order: a round one for the head, a peanut for the body, two peanuts for the arms, and two peanuts for the legs. Arrange these like a stick doll. Glue the pieces in place on the paper. 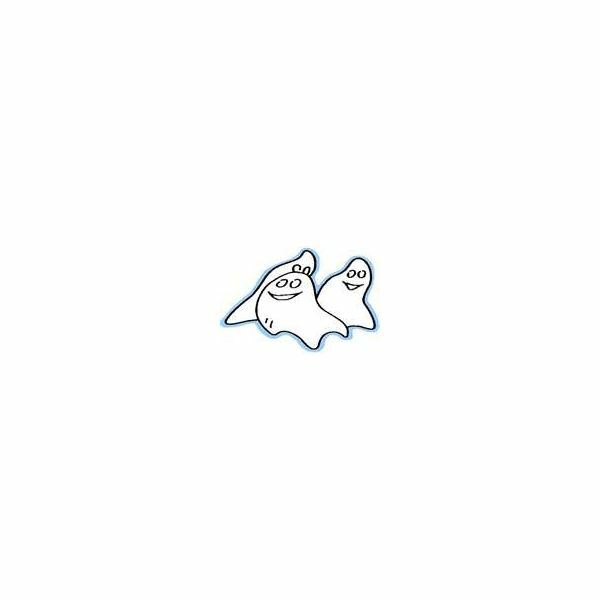 Make several ghosts randomly on the paper. Use a black marker to draw two eyes and a round-shaped mouth on the head part. Decide whether to use hands or feet with your class. Brush white paint onto the body part. For example, for a handprint brush the white paint all over the hand, fingers and palm. Press down onto the black paper to make a print. When dry, add the adhesive googly eyes or make eyes from scraps of white construction paper. Draw the pupils to make an eye with markers. Draw a circle-type mouth with markers. Help the children draw a ghost shape on the waxed paper. Guide them to squirt the glue on the paper and cover the entire shape. Sprinkle salt to the mixture for shine. Cut eyes and a mouth from the black construction paper. Place these on top of the glue. Leave this to dry (it may take a day or two). Peel the ghost shape from the waxed paper. Punch a hole at the top and thread with yarn to hang the ghosts from the ceiling. Have the children use crayons or markers to draw a Halloween night picture. Include pumpkins, black cats, skeletons, bare-limb trees, and so on. Up in the sky glue the white circles making sure to catch the tip of a facial tissue under the circle. Let the tissue drape down on the picture. Use a marker to make eyes and a circle-type mouth for each ghost. The tissue gives a dramatic effect to the picture as if the ghost were sweeping across the sky. During your holiday countdown, brainstorm with the children for other preschool ghost crafts for Halloween. Have "boo-tiful" moments during these fun art activities and decorate the classroom together. Halloween is an exciting holiday for children and adults as well.